The process of getting a suspended license reinstated can seem daunting. For many, it’s a labyrinth of trying to figure-out which courts and/or agencies must be contacted in order to clear-up unresolved cases. But now, the Department of Licensing is offering a fast and simple solution people can use to piece all of that information together. It’s a simple app on the DOL’s website, dol.wa.gov. After the user enters some basic information, the online app provides a specific list of what that person must do to get his or her license reinstated. “What we’re finding is that people are able to go online, use the reinstatements program, and systematically work their way through all of the issues that they need to work through to get their license back. And as they continue to check in on it, those things that they’ve taken care of come off the list until the day when they find out that they’re actually eligible for reinstatement,” Benfield said. That’s a huge departure from the common scenarios that’ve played-out for years: people using their valuable time to go to a DOL office or calling the agency as they attempt to figure-out how to get their license reinstated. Now, all of that information is at a person’s fingertips. You might say the app puts you at the front of the line. Believe it or not, there are companies who charge to provide you with this same information. Benfield also has this heads-up for people who’ve only recently learned that their license will be suspended. The DOL recently produced a video about the app and posted it to its YouTube channel. Summer is traditionally a very busy time in driver licensing offices, but customers across the state are enjoying average wait times of less than 30 minutes this season. Statewide average wait times are down sharply compared to last year and have been below 30 minutes for the past four months. The average amount of time customers spent waiting for service in a driver licensing office in July was 28 minutes. This is a significantly lower than the average of 42 minutes in July last year. 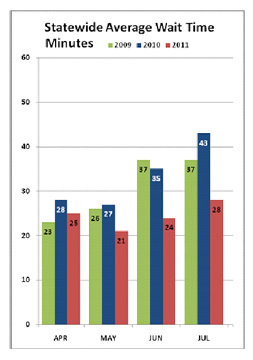 While average wait times are way down across the state, some offices still have longer wait times than others. A great way to save time is to visit DOL’s Internet website and check the current wait time of the office you are planning to visit before you go. 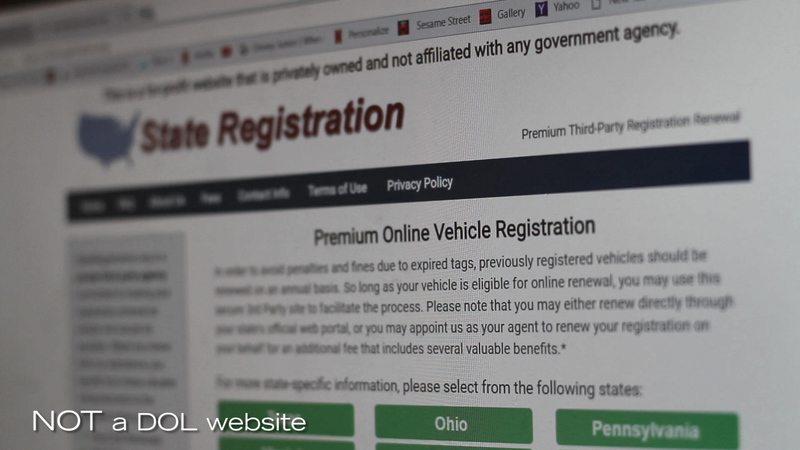 Also, keep in mind that many of DOL’s most common transactions, like driver license renewal and requesting a copy of your driving record, are offered online at the DOL website. It’s also important to keep in mind that wait times can vary greatly depending on the day of the week and time of day customers choose to visit a driver licensing office. Watch the video below for tips on how to make your next visit a quick one.